The RL series of general-purpose relays from IDEC are available in single or double poles with single pole models electrically rated to 30A at 277VAC and double pole models for 25A at 277VAC. All models within the RL series have double make contact circuits and mechanical lives of 1 million operations. Available with flange or DIN rail mounting however, unlike competitor relays the IDEC RL series don’t require a socket or adaptor for DIN rail mounting making installation quicker and easier. The RL series of general-purpose relays from IDEC are available in single or double poles with single pole models electrically rated to 30A at 277VAC and double pole models for 25A at 277VAC. All models within the RL series have double make contact circuits and mechanical lives of 1 million operations. Available with flange or DIN rail mounting however, unlike competitor relays the IDEC RL series don’t require a socket or adaptor for DIN rail mounting making installation quicker and easier. 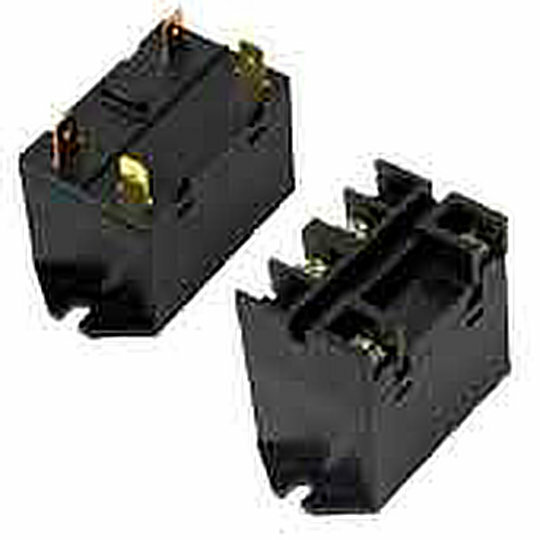 The RL series is available with quick connect or screw style terminations and has the option of AC or DC coil inputs. The RL series are perfect for applications requiring higher voltage loads and inductive kickback in an economical and compact package such as HVAC Panels, Energy Management, Heating Equipment, Motors and Lighting.